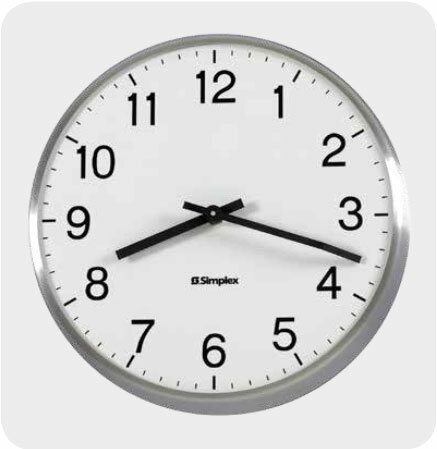 Each clock is individually and automatically corrected once each hour for synchronisation with the Time Control Centre. Clock does not have sweeping second hand and uses low voltage 2 wire cabling. The recommended installation uses a Clipsal 408/3A three pin plug base (supplied by others) to receive the Clipsal 409/3A fitted to the clock.